Thanks to the good people at BabyLit, who donated the entire run of these wonderful board books to PERC! 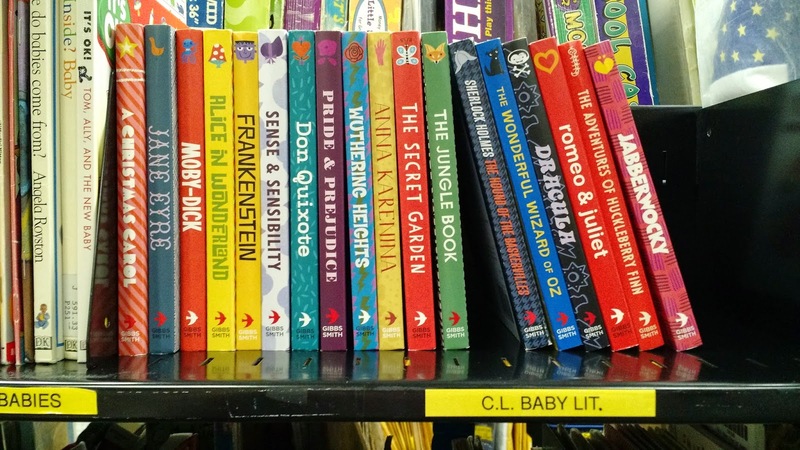 For those of you who haven't encountered BabyLit, you will be enchanted by the adorable way they make classic literature accessible to the youngest child. The concepts are simple, the execution is clever, and the illustrations are amazing. Come in and check them out. 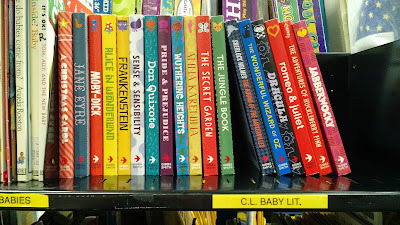 You and your child will love BabyLit.